Small to mid-sized employers (especially in the areas of hospital based specialties) have traditionally had a very relaxed attitude about how their staff is paid. They figure “What’s the big deal? What difference does it make if I pay someone as an independent contractor versus withholding taxes and paying them as a W-2 employee?” The answer: Plenty! Why? Because if the IRS determines a person is wrongfully characterized by the employer as an independent contractor, the employer would be responsible for all the employer related taxes plus penalties. Determining whether or not a person would be viewed as a W-2 employee instead of an independent contractor is not a simple thing. The “20 Point Test” typically used to guide the determination is not cut and dry. 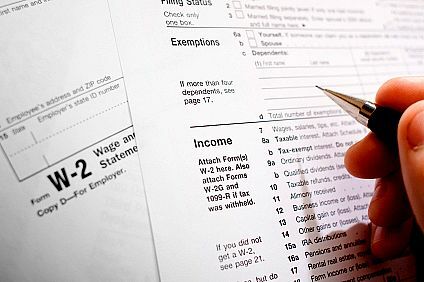 And tax advisors often advise “When in doubt, characterize the person as a W-2 employee, not as an independent contractor.” That advice has never been more true than now, when our government is actively seeking ways to soothe our financial woes. This entry was posted in Employment Law Compliance, Healthcare Law, Jeffrey L. Cohen, Medical Practices, Uncategorized. Bookmark the permalink. ← Proposed ACO Regs Are Out! I have an insurance client who is looking for a speaker on the topic of the movement of physicians to W2 employees – is there anyone at your company who speaks about this?